The road of entrepreneurship is paved with many speed bumps and detours. Often, rousing investors, co-founders, and team members to get involved in making your idea a reality is chief among them. If you’ve never done this before, you may have found it to be a challenging endeavor. As a pitch coach and judge at some of America’s biggest startup events, including Google Startup Weekend and AngelHack, I have had the opportunity to hear thousands of new business ideas. I have found that most people whose ideas are unsuccessful assume that they need to focus on explaining the features and technology of the new product they wish to create, rather than on the task of exciting and engaging the listener. 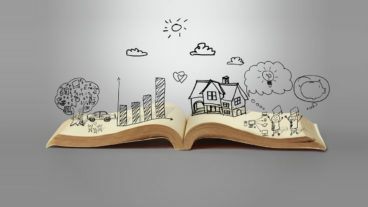 However, as a serial entrepreneur with several multi-million dollar businesses behind me, I’ve done my fair share of pitching and I can tell you that to be successful, you must master the art of storytelling. 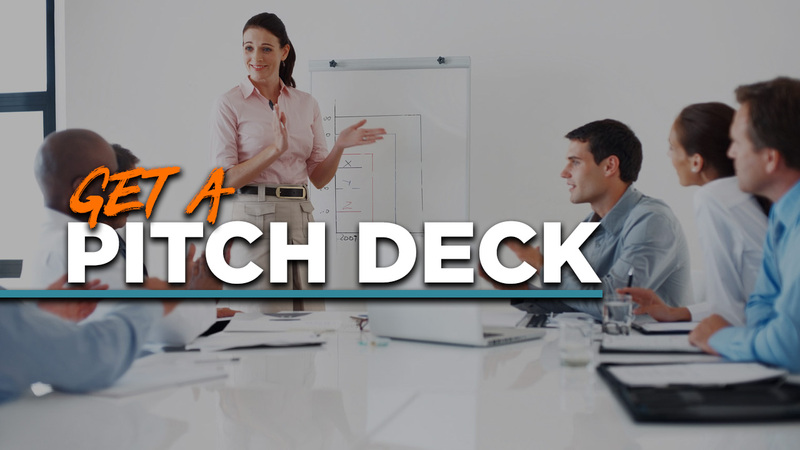 Your pitch is a story that has seven chapters, each building on the previous ones and leading to the eventual statement you want to hear from your audience: “How can I get involved?” Want to know more? Your idea isn’t about the “what” it will do, but the “whom” it will help. You must start any pitch by illuminating for your audience specifically whom your product or service will be helping. When you create the concept for a product or service, you consider its effectiveness from a global perspective. Yet the idea likely originated from seeing a problem exhibited in a single instance. Either you had the problem, or you knew someone who did. This thrust you into action to provide a product or service to help. If you want your audience to have the same belief in what you are doing, you need to recreate this inciting event for them. Take a second to think about all the bullying in schools: obviously it’s upsetting, but can you really feel the pain of all the world’s bullied children? Chances are, that pain seems very abstract to you at this moment. However, what if I told you about my friend John, who at just seven years old was bullied mercilessly every day, and the shame and embarrassment he continually felt not knowing what to do about it? Wouldn’t you feel John’s pain more than a general “world” of bullied children? Wouldn’t it motivate you more to take action to stop the daily torment he endured? So, to achieve this, in the first part of your pitch you must individualize the problem to one person, a story of a specific individual that you’re helping—and most importantly, how they feel having the problem. You can do this in one of two ways: if you yourself have experienced it, you can tell your firsthand story and take them on a journey through the emotions you experienced so that they may feel your pain. If it’s not your problem but it’s one you discovered though seeing someone else experience it, tell the story of that individual, the emotions they feel, and the effect that seeing someone go through all that had on you, motivating you to want to help them. You may be thinking, why is this necessary? Well, I’ll let you in on a secret: people are becoming more socially conscious. They want to believe they are changing the world, and they want to be able to tell their wife, kids, and friends at the golf course that they are making a difference in addition to making money for themselves. If they can’t identify with the emotions of a real person in pain that they can help, your pitch will just blur into the countless others they’ve heard this year. Now that we have our listeners emotionally invested in helping an individual, we want to discuss how big this problem is, and expand it outwards to a community of people just like the one described in our story. To better elucidate this point, we can again use our aforementioned portrayal and expand it outwards—in this case, to all the world’s bullied children. We could show statistics detailing how many people are just like John, all suffering and feeling the same way and, if you can find them, reports of the problem being endemic and its costs to society. Once potential investors can understand the scope of this issue, they will also see that by fixing it, there is probably a great deal of potential profit to be made. That said, this is not the time to bring it up—you will do this in step seven. Rather than going straight into your solution, allow your audience to imagine a solution themselves. When doing this it is important to provide them with some direction to ensure their imaginings are in the context of what you’re trying to achieve. For instance, ask them, “What if there was an online portal for John to get help?” Some will begin to imagine a big, incredible solution and will get very excited; others will also become enthusiastic about the solution they imagine, even if it’s quite simple. Allowing the listener to envision a way to help will ensure they are invested in fixing the problem. It also has another nice side effect: it forces the listener to imagine solving the problem themselves, stealthily sidestepping the often disastrous “why do I care” barrier. When you present your solution, the listener will inevitably connect the one they imagined to the one you want to make a reality. Those who pictured simple solutions will be amazed at what you have come up with, and want to get behind it. The more imaginative members of your audience will start suggesting additional features that they envisioned during step three because they are excited about your idea and want to make it a better, more grand solution. Either way this is great news: after all, they are not saying”‘no.” However, this is also where things can get tricky. You must be open and excited about their ideas, and you can even suggest a few more of your own or numerous other applications you have envisioned, but finish by stressing the importance of starting with a minimum viable product, then working on these ideas as part of a phase two launch. I know that telling an investor you might not implement their ideas straight away may seem illogical—after all, if they are adding to the idea they clearly want to fund it—however, trust me when I say they will respect you for doing this and as a result, perceive you as a safer investment decision. The scariest thing an investor can hear is that you have no competition. While sometimes this can be the case, it tends to stimulate concern as to why not. After all, if there is no one in the market space, perhaps there is no market for the product or service you are pitching. More often than not, however, it signals to the listener that the person pitching is either lying or has not done their homework, leading them to worry about who your competitors could be and whether your product or service could obtain market advantage over them. Either way, this frequently results in their passing on your investment opportunity. Discuss any potential competition openly, as well as the risks and how you will differentiate to obtain competitive advantage. Now is the time for you to convey what it will take to get your idea out into the market. You want your potential investors, co-founders, and team members to see that you need their help but also that you’ve got a firm grasp of the numbers, and that you didn’t just pluck one out of thin air. To achieve this, you will need a high level breakdown of how the investment capital will be distributed, and how long you anticipate it lasting. You have just asked for a lot of money, so make sure your audience understands why they should spend it. Now is the time to remind them of exactly how many individuals who are just like the one you discussed in the first chapter exist, and any research you have to support the potential market opportunity for a product that fixes or minimizes their problem. Next, you want to highlight why you are the perfect team/person to bring this solution to the masses. 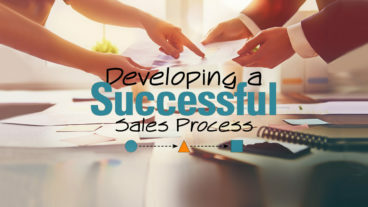 To achieve this, you will want to highlight your experience and credentials, as well as emphasize why these will give you a superior chance of success. Finally, it is important to demonstrate that you understand what it takes to get an idea such as this off the ground, and excite the listener by showing that you already have runs on the board. To do this you should “open the hood” so to speak, and show them everything: your marketing strategy, early excitement and press, current customer acquisitions, current financials, projections, valuation expectations and finally, exit plan strategy. What is the message I’m trying to convey? Can I say it in simpler terms or words? I know this will sound crazy to you, but a bigger number actually isn’t better. Many startups have failed not due to the idea being bad, but because they’ve taken too much money and now have higher deliverables. It is important to ask for the money you need, and to allow breathing room in case something goes wrong or is delayed. That said, when deciding on a figure remember that the number you decide will greatly impact your second round evaluation requirement, so don’t ask for more than you truly feel you need. Whether it is over-excitement in your idea or fear of not making an impression, it is tempting to inflate valuations and projections. Remember, venture capital investors hear thousands of pitches every day, so if anyone can smell a rat, they can. Instead of attempting to excite with outrageous numbers, show them well thought-out and researched projections that will allow them to see you as a savvy entrepreneur. Your slide deck is just as important as your idea itself. If it’s not well planned and carefully curated, at best potential investors will not engage with your idea, at worst they will see you as lax in your approach. Either way, they will probably decide to pass. For many, obtaining venture capital is a way out of a 9-5 job that they hate, or a chance to go after a dream they have had for years. Why leave something that is so important to chance? Speak to “The Rapid Growth Guy“ himself and see how he can help you better your chances of success. “It’s true, his enthusiasm is wildly contagious! We’ve found his valuable feedback immediately helpful to get us through several sticking points in our presentations. His business acumen spans across all aspects of business needs. It’s refreshing to get real-world actionable advice in a straightforward, easy-to-understand and implement kind of way. Thanks Matt!” – Amy Looper – OneSeventeen Media, Inc.
Scarlett: It’s an exciting weekend here in Austin. We have the Google Startup Weekend. It’s in town right now. Scarlett: And we have Matthew Pollard and one of the heads of those Google Startup Teams in the studio with us. Thank you guys for joining us this morning. Matt: More than welcome. I thought, as I told you last time, we had Google Startup Weekend coming on. So I thought I’d Sean Duffy to come and talk a little bit about it. Scarlett: Thank you guys so much for coming in. Well tell me about what is Google Startup Week? Sean: So it’s a weekend of, where people can come in on Friday night with an idea for a startup or a business, and pitch that idea Friday night, form teams. And by the end of the weekend they can actually have a fully-fledged start up and a business ready to go. Scarlett: So is this the first time this has hit Austin, or are we in our second year, third year? How many people can people expect to see there, what’s going on? Sean: But people can sign up now, and we’re looking forward to it. Should be awesome. We’ve had over 100 people at the last couple of events. So really, really big event and lots of fun. Scarlett: Well tell me about pitching an idea to a boss. Because that seems like it’s gotta be one part of this Google Startup Weekend that’s coming up here. It seems like a challenging thing to do. How do folks go about doing that? Matt: So the important thing is, a lot of people try to focus on a, a feature of what they’re trying to pitch – so an idea. But they don’t really bring it down to one person. And that’s why a lot of times an organization or a boss can’t really get behind it. And a lot of times, when you’re talking to venture capitalists as well, people tend to run for the hills if they can’t see who specifically it’s gonna help. So what I like to do is break it into, into chapters. And what we did as part of Google Startup Weekend last year, when I started to get involved. Was we broke down the 7 chapters that I work with into a key 5. And the first one really is identifying a single person that it helps. And really telling that story, the emotions and the feeling that person has. And as a result, why you want to help or why you think you can create a product or service that will help that person. The second thing you want to do is really focus on opening that up, and saying, “How many people have that same problem?” And really trying to talk about helping them understand that there’s a big financial gain if you can move into that sector or that area, and really start to help them. And then, quite frequently, what a lot of people try and do is then start explaining how they’re gonna fix the problem, and why they’re going to fix the problem in a different way. But really what you want to do first is captivate the imagination of the person you’re talking to. So you ask them to imagine a solution, and you try and provide a little bit of guidance. Like, “What if there was an online solution that we could create that would allow us to fix that problem?” And by doing that, you’re actually getting them to imagine. And some people, they’ll imagine a grand solution. Other times they’ll imagine a solution that’s nowhere near as good as what you’re about to present. Either way, you’ve gone straight past the, “Why do I care barrier – I’m not interested,” and we’ve captivated the imagination. Then we move into, “So here is the solution.” And the people that had a grand imagination will get excited about it, because they’ll start to be able to see that they’ll be able to bolt on their idea to this, and make it an even better solution. The people that had a really poor imagination at that time will get excited, because they’ll see you’ve come up with an even better idea. And you can sort of move forward, and we can really get market penetration with this, because it’s so much better than they envisaged. And then what you really want to do then is step into, “Okay, so this is why I’m the right person to move it forward. This is the financials behind it, this is why I think it will work. But a lot of people start with that, and then they, like well, “I don’t see it fitting, I don’t see it working for anywhere.” And then it’s a dead market. So by following that process, it works really well. Scarlett: Well it sounds like it can be something that really helps folks out. Sean, we have time for one more question. I just want to ask you, in your experience, does this seem to help people out? Do these businesses that you create there turn our? Sean: Yeah, I mean it – the weekend in itself is, is a way to validate an idea. So the ones that do really well, they have, by the end of the weekend, they have a really sustainable business. Lots of people think that it takes 3-4 years to build a business. And while that might be true for, for some of them. I mean, you can validate an idea and move on from it. And we’ve got a number of folks who have done that here in Austin. And actually at the last Startup Weekend, there was a really great team called “Giving Docs,” who, they’re still moving forward with it. So really cool to see that. Scarlett: Well this is very exciting, and we’re so glad to have both of you on our show. Matthew Pollard and Sean Duffy here in the studio. If you want to learn more, you can obviously look up Google Startup Weekend here in Austin. But thank you guys for showing us this morning so much. Matt: Thank you very much, cheers.